colorstampscom has no other items for sale. FREE Shipping: all orders mailed out within 1 day! 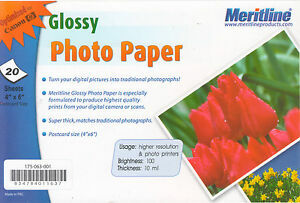 Print Technology: Laser, Solid Ink Paper Size: 4" x 6"
Add more photo paper to your order by selecting your desired quantity. Shipping is still free within the USA.